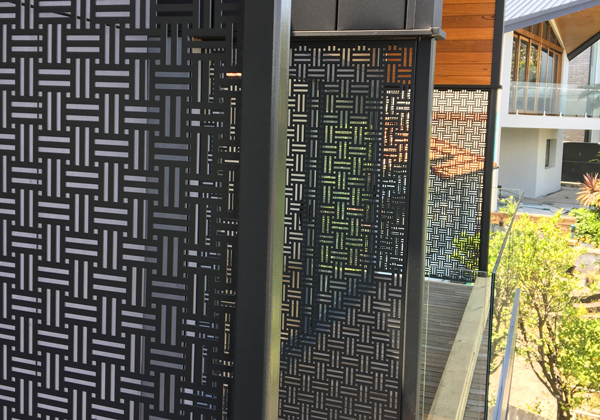 Decoview laser cut privacy and decorative screens are made to measure in a huge range of sizes and finishes. You may have found one of the best quality laser cut decorative privacy screens in the world. 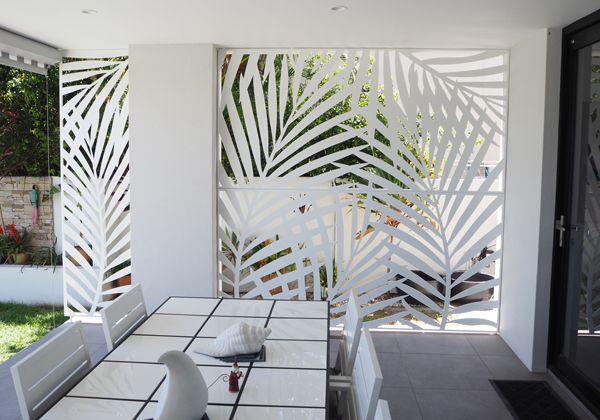 Decoview laser cut screens are made in Australia from premium aluminium. If you want laser cut screens that will last a lifetime and come in over 200 fantastic colours, then Decoview screens are the right choice. 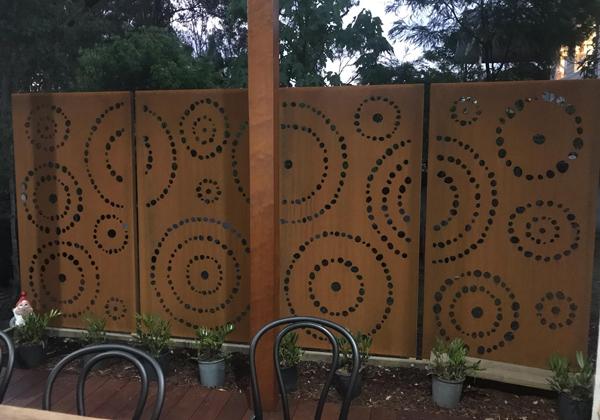 Decoview laser cut privacy screens are made in a range of thicknesses ranging from 2.0mm for perforated – mm thick for certain applications, with the majority being manufactured in 3mm 5005 H34 aluminium. Aluminium is not only light but strong and offers excellent resistance to corrosion. 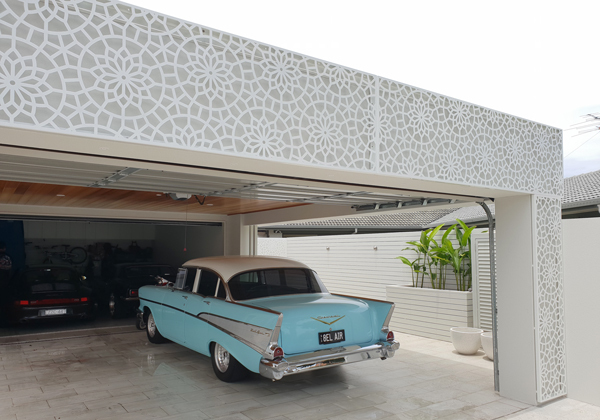 Any Decoview laser cut screen or decorative screen design can be made from Aluminium. Decoview laser cut screens are also available in corten ( lyten ) or otherwise known as weathering steel. This is a great product to use in landscaping or when you want a rustic feature, left to age natural you get an amazing rust patina. Corten is also the strongest being essentially a light gauge structural 350 grade steel it is super strong. Any Decoview laser cut screen or decorative screen design can be made from Corten steel. Imagine your privacy screens once they develop a beautiful natural rusted patina. Contact us today if would like the most competitive prices on Corten laser cut screens and Corten privacy screens. Great preparation leads to great results. If you have not heard of this process before that is because it is the new standard in laser cut decorative screens and al Decoview screens are made with that standard in mind, we simply want to give you the best! Decoview screens one of the only laser cut screens in Australia to be put through a unique edge rounding process. After laser cutting our screens are passed through a state of the art German edge rounding machine to ensure that there are no burrs and all sharp edges are removed, this results in safer edges, better powder coat adhesion which equals screens that last longer than non-edge rounded screens. With edge rounding you can enjoy your Decoview screens for many years to come. We are certified to brighten your day with amazing powder coat colours. Decoview laser cut decorative screens are available in over 200 stock colours. 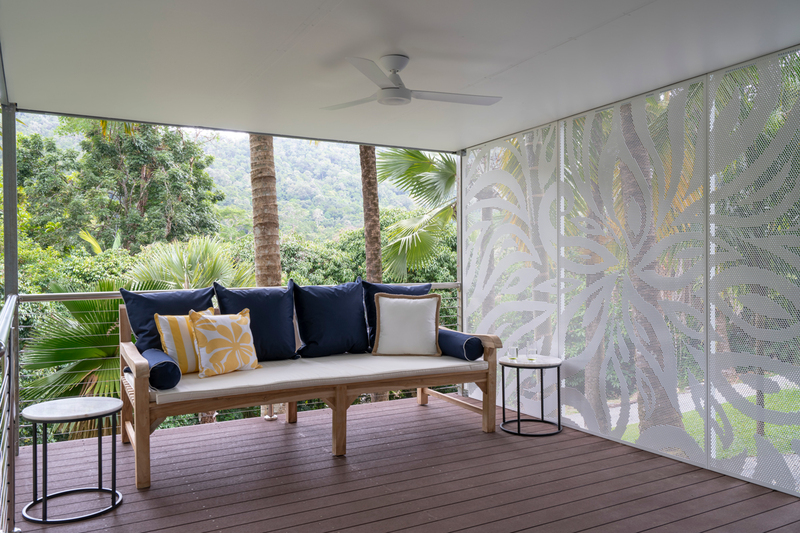 Not only can you can rest assured that your screens will look good for years to come, Decoview screens only get powder coated to above Australian standards in our Dulux and Interpon approved powder coating process. Which requires all screens to be pre-treated prior to powder coating to ensure maximum powder adhesion and corrosion resistance, combine that with the edge rounding process we apply to all of our laser cut screens and you have arguably the best quality powder coated decorative screen on the market. Decorative screen solutions that make install a breeze, clever is just the beginning. Folded, framed, stood off, suspended we can give you a solution to meet your needs. We have been in the game long enough to know that an easy install saves you time and money. Hey who doesn’t like to keep it simple sometimes, Decoview screens can be supplied just flat so they can be fixed into your own frame, screwed to a wall, post or any way you like! We take your screen and we fold it in the best possibly way. With our Decoview Flexfix fame install has never been so easy, we fold a flange on all sides when required and include pre-laser cut holes for mounting. You can even take up slack when your existing structure isn’t square, the folded edge will flex out to fit perfectly up to 5mm. Decosection - It is the extrusion system dedicated for decorative screens. As it suggests it the section for deco, it gives you at an easy way to fit decorative privacy screens into a myriad of ways with hidden fixings, no welding so anyone can assemble it. You can also take advantage of off the shelf support brackets to fix to uprights and brick walls. There is so many options for your laser cut decorative screen projects. If you want the fantastic effect of floating wall mounted laser cut screen or laser cut screen art, then Decoview has the solution with our stand offs you simply drill in a wall plug and screw the screen off. We can powder coat the stand offs to your exact specification. It’s sometimes all about the looks! 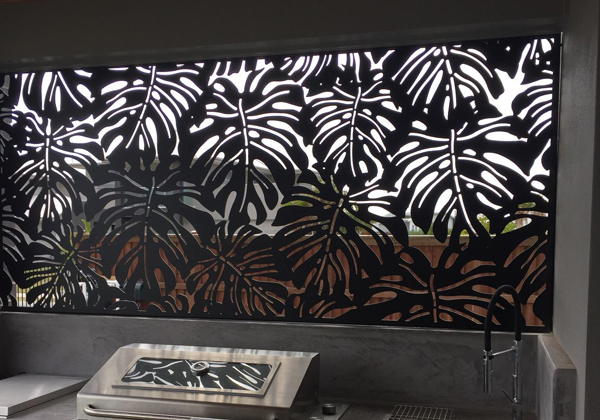 Decoview decorative privacy screens and laser cut screens come in a huge range of designs. We can also do custom laser cut screen designs, so if you don’t see something you like or want to bring your own style we can make you a custom decorative screen design to suit your needs. Some of Our Previous Projects – check our gallery page for more!